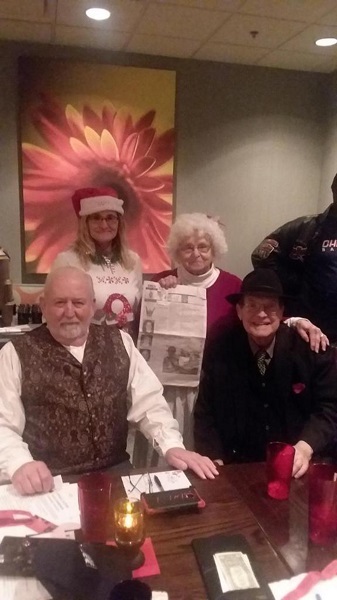 On December 20th Jean Crotts of Stronghurst, Mrs, Santa Claus, took "The Quill" along to the Central Illinois Film Commission Christmas party in Springfield. She is pictured with Jim Fornoff of Havana who is an actor and a reenactment actor; Dean Williams, Springfield, president of CIFC; and her daughter Diana Dugan of Oquawka who is on the Board of Directors for enrollment and actress. When you go on a trip, take "The Quill" along, and have your picture taken with it, and send it to us. Let's see where all "The Quill" can travel.